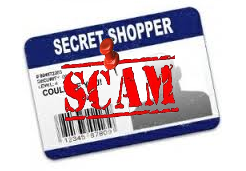 Mystery Shopping Scammers Plead Guilty! We are happy to report two people involved in the cashier’s check writing scam, which mystery shoppers and the public had become victim to, have been arrested. While this is likely just the tip of the iceberg in terms of people involved in these scams, it is proof that the crime is being taken seriously by our legal authorities and prosecution will be enforced. As dedicated mystery shoppers, we do ask that you assist our companies and our trade organization, MSPA-NA in spreading the word about the legitimacy and integrity of the mystery shopping industry. Alert others who may not yet be involved in mystery shopping to be aware of the scammers scheme. Typically, they send large checks to uninformed people, ask them to keep a portion of funds for payment and wire the rest back to evaluate money transfer services. Or they ask the victims to purchase gift cards with the funds and send copies of these to the ‘company’. They then use the numbers from these cards to make on line purchases. These thieves also act as though they are representing an established mystery shopping company, stealing our logos and signatures to make them look as though they are representing a real firm. Legitimate mystery shopping providers will not send checks before a shop is complete, nor will they ask a shopper to wire funds or to send money. Share this message among your friends and family to make sure no one gets caught by one of these scammers. These individuals have a great knowledge of how to make the correspondence and papers look very legitimate. Don’t think that your friends are smarter than this. We know of some very intelligent individuals who were almost dragged into this, but trusted their gut to investigate a bit further. And of others, unfortunately, who got caught in this scheme and are out thousands of dollars. For a list of legitimate mystery shopping companies, click here. We are glad that two individuals have been caught. It is our goal to work with everyone involved to make sure more thieves are caught and fewer innocent people become victims. Thank you! If we all work together, we hope we can create a better world in which to live and work.